If you read my post 'I Feel Free: How I Dealt With OCD', then you'll know that I've struggled with obsessive behaviors surrounding time and timings for a while now. I basically created a routine in my head and had compulsions to do certain things at certain times. Since writing that post I've really tried to 'let go' a little bit. I've been trying to be more free and easy going and go with the flow. I've been trying to not let the clock control my decisions: I often say no to things because I can't deal with not being 'in control', or not doing something specific at a time that that thing might conflict with. It's been hard, but it's slowly working and I'm changing. 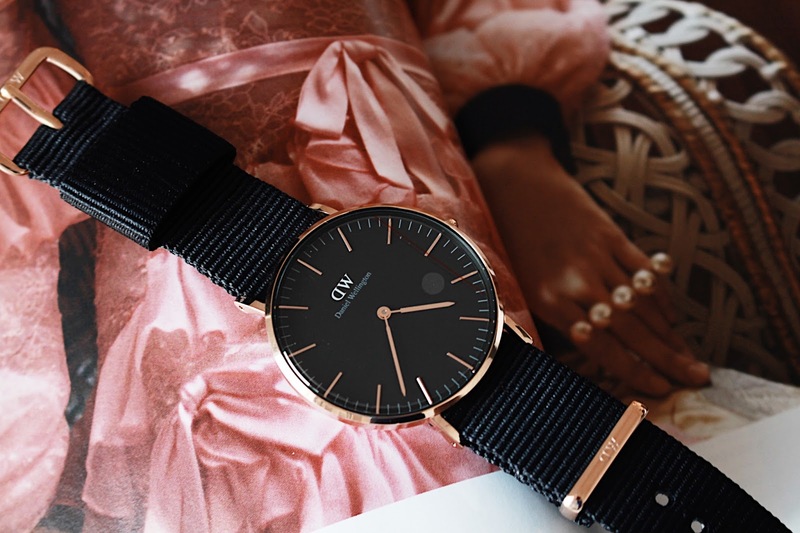 I was recently contacted by Daniel Wellington, asking if I'd like to receive some pieces from them. I said yes, and once they arrived, something really struck a chord with me: I've never really worn a watch. I've never grown up wearing a watch, having a miniature clock strapped to my wrist - it was only over the past few years that I began looking at the clock and using 'time' as some weird form of 'allowance'. It just made me think about how free I used to be from time and timings. When I was younger, I would never look at a clock and be like, 'no sorry, I can't, I have to brush the floor at that time' (yeah, I have a specific time in my head for that... don't judge me haha), I would just be like 'yeah! let's go!'. I need to start being more like that now. 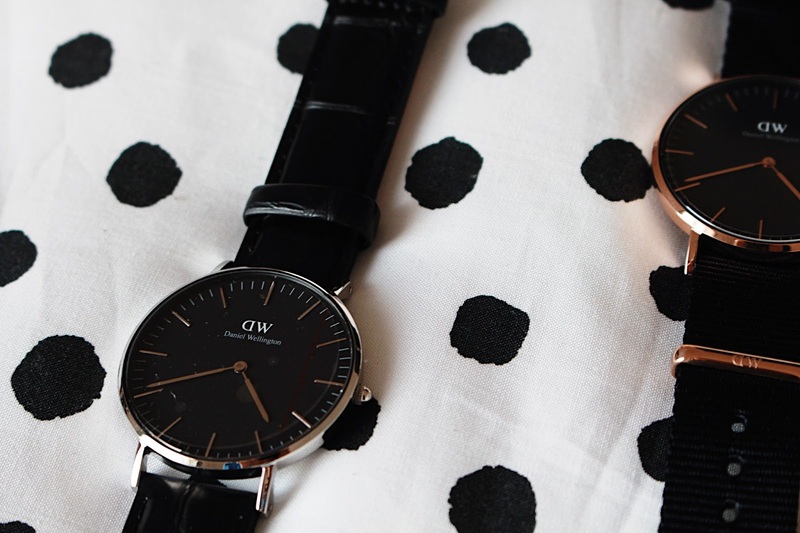 But, you see, I don't want that to stop me from being able to wear beautiful pieces like these from Daniel Wellington. So, today, I want to take the 'time' element away from watches and look at them more as a piece of fashion. 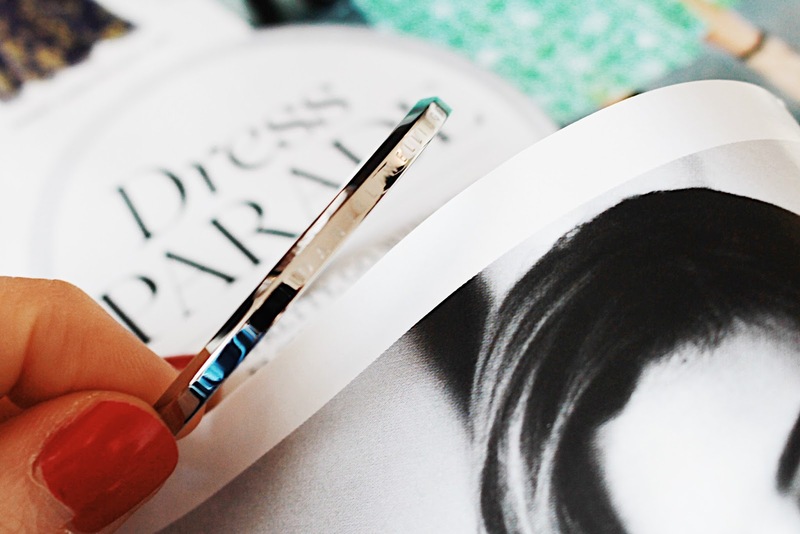 A watch can be such a fab accessory, not just be used to tell the time. 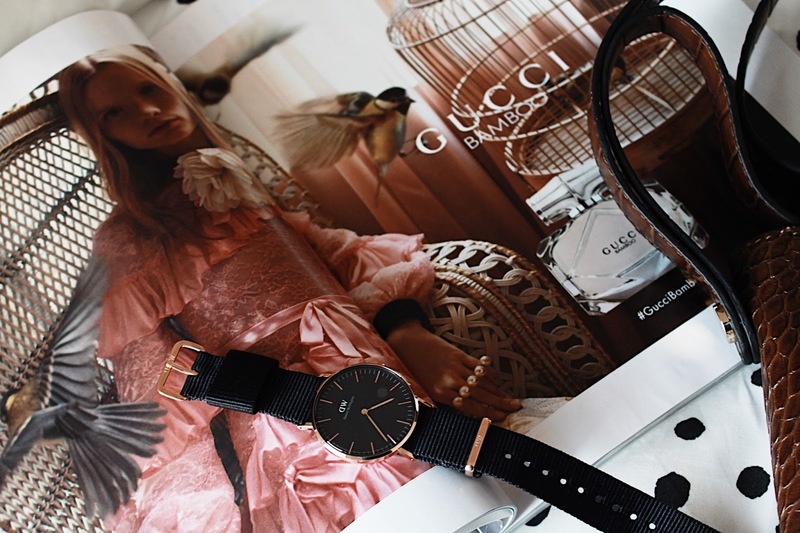 I always love the contrast between the clock face and the strap, and the great thing about Daniel Wellington watches is that all the straps are interchangeable, meaning that you're able to mix and match. Personally, I really love dark straps on watches - I just think it makes the face stand out so much more. The watches I chose were the Cornwall Classic Black and the Reading Classic Black. I love the way that the rose gold and the silver look against the black straps and yet, the straps are still so interesting due to the different textures! I think each strap would work wonderfully with each face and would add just that little something extra to a look. 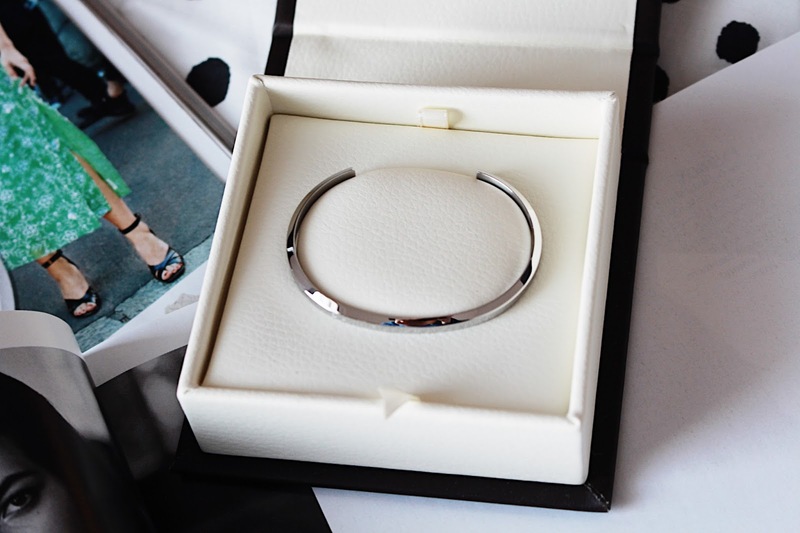 Daniel Wellington also sent me their Classic Cuff in silver - something else that is simple, yet just adds something to an outfit. 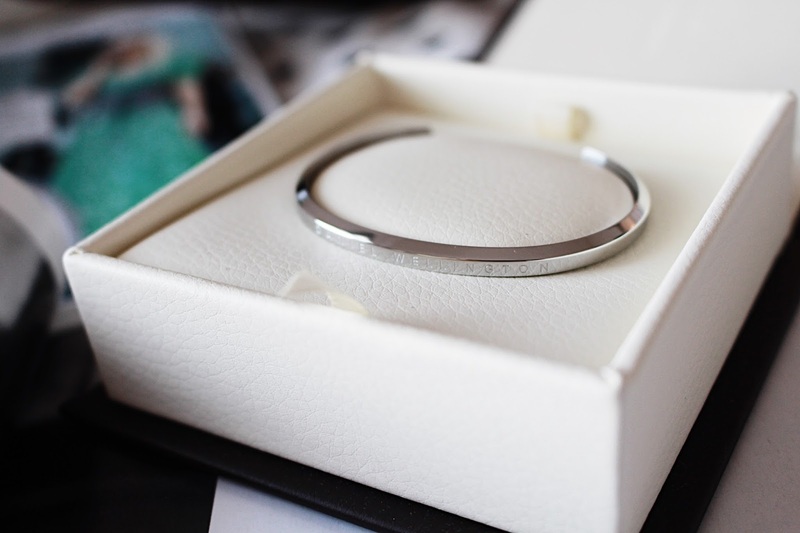 It's gorgeously engraved with the brand name and came in a gorgeous little box. It would be perfect paired with the silver watch. OMG! Those watches and the silver bangles look absolutely amazing. I agree with you, on the preference of dark straps, they really make the dial stand out. Anyways, I love your blog posts, stay blessed!.